This is NOT a machine embroidery design. Not suitable for embroidery machines. Design shown in the picture. This is a SVG only cutting file, to be used on plotter machines like Silhouette or Scan n Cut. 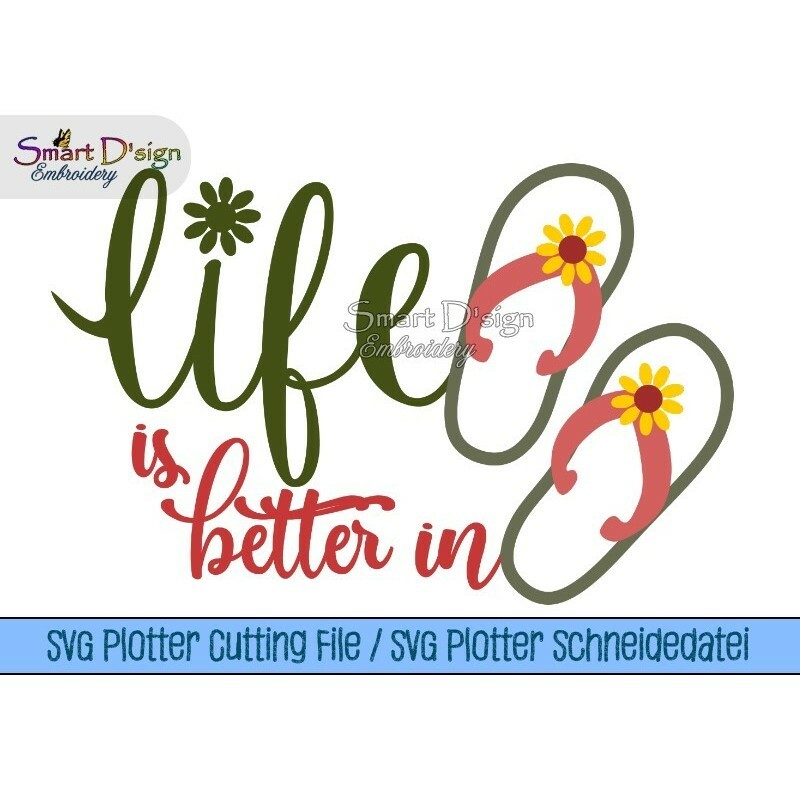 This design is the SVG version of my machine embroidery design Life Is Better In FlipFlops. Designs as shown in the 1st picture. Other pictures as examples.